On a short-term experimental basis the hospice I work for has decided to try out a new system for chaplain visits. It is called “speed visiting” (after the concept of “speed dating”). We know the advantages of speed dating, where we quickly screen out the folks we are not interested in and zero in on the most likely candidates. Why spend lots of time trying to unravel all sorts of deep and convoluted layers of meaning when a truly skilled chaplain can size up a person in a matter of seconds? After all, we know the signs of sadness, anger, disgust, ennui, denial and all the rest. And we know how to instantly respond to their need to be heard. We just have to urge them to express their distress in a sound-bite appropriate length, just as they do in other areas of their life. We just have to reassure them that we get what they are feeling almost as if we were inside their brains, so they don’t have to elaborate. And why waste gobs of time with patients who really are not the least bit interested in seeing a chaplain just to have more to say in our medical record notes? And if we need to vent, we really are desperate if we have to do so in our clinical notes, I mean really! Really? Speed visiting? April Fools!! “Do we have to take off our shoes?” “What do we have to wear?” “Are the men and women separate during prayer?” Funny that those were the questions we interfaith leaders of my little Rockwellian town of Kearny in New Jersey preoccupied ourselves with. We were hastening through a conference call to get ready for the New Zealand memorial service at the local mosque. All of a sudden, we Kearny Interfaith Network members felt our lack of knowledge, our fears of inadvertently giving offense, and yes, our curiosity, as we discussed how we could help at a place we were attending for the first time within a day of the Christchurch tragedy. When we arrived, the mosque members were almost baffled at the number of Jews and Christians suddenly In their midst to offer solace; they have been so used to keeping hidden and quiet out of fear of anti-Muslim sentiment. Even their building, a white home I have passed on the way to work over and over, never gave off a hint that it was a house of worship, let alone a mosque. I never even had noticed it before on this heavily industrialized street. Now, an ample number of polite but watchful policemen stood at the entrance and waited in their cars on the street, and a sign sprouted up along their fence that proclaimed, “New Zealand Candlelight Vigil.” But the Muslim community was glad that a rabbi, priest and pastors along with members of our congregations came to be with them and make speeches of support. And I was comforted when one of their own leaders spoke about the Pittsburgh synagogue and the Texas Baptist church tragedies and how we of all faiths would all stand with each other for peace and freedom. The mosque members are isolated no longer, and they are already planning to invite us to their happier occasions as we prepare to host them at our own houses of worship. With all of the years of chaplain experience that I have, rare is the book about dying that raises my awareness of how to do my job better. The author Lisa Smartt is a linguist and the essence of the whole book is that the talk of persons who are going to die relatively soon, from a few hours to a few weeks, reflects “consistent patterns that emerge in language at the end of life.” Her data consist of 1,500 English utterances gathered over a period of four years. Some of the patterns she found include paradoxical statements such as, “I understood everything everyone said, but not a word was spoken,” metaphors such as “Yellow bus…lots of angels are driving that bus,” or visions such as seeing ancestors or spiritual figures. After I read Smartt’s numerous categories and examples, I started to notice this special pre-death talk more often while doing my own hospice work. I then found myself responding to this special way of talking in a much more tuned-in manner than before, letting myself explore what the person was trying to convey. Just the other day a gentleman who only leaves his room in a recliner to relax in the sunroom informed me, “I have to go to a meeting.” I asked, “What is the meeting about?” (Other staff might have tried to “reorient” him by saying there was no meeting he had to attend.) He said, the meeting “is about everything.” I echoed, “Everything?” and then reflected, “That’s going to be a really really long meeting.” Chuckling, he agreed with that. I thought to myself, he might have been referring to what professionals call “life review,” i.e. the kind of run-through of our life story that some people do during the period of time before the very end as well as at other key moments of their lives. If you find these examples engaging or touching, you will find anecdote after anecdote in Words At The Threshold, some of which are very poignant. One is about a woman who kept referring to five boxes she had to organize. Her daughter thought maybe the boxes stood for her and her four siblings, and at that her mother got agitated and exclaimed, “I need to find a place for them!” She did not calm down when her daughter mentioned where each one of them lived. Finally when the daughter said to her mother she could keep them in her heart, she became calm and relieved. A lesson here for all of us who may in our personal or professional lives be with someone talking near the end, is to not be too literal and instead get at deeper things such as love and other values. Besides sensitizing me how to better connect with patients when they engage in “threshold talk”, this book also teaches me to recognize it as an indicator that patients may be nearing the end. So many times, as families struggle with uncertainty, they ask me how long their loved one has. Not even nurses always get this right, and we do not want to increase anyone’s distress by guessing wrong. Especially way wrong. But at least threshold talk can be a guide, and I can let families know that not a whole lot of time may be left. Another benefit of this book is that it shows us how to make the most of a loved one’s end-of-life talk, for example by keeping a journal of all of the utterances to look for patterns of meaning among them, and by thinking of conversing with them as if we were learning a new language in a new land. My only caveat is that at times, Lisa Smartt thinks that threshold talk hints at an afterlife, partly because the language is like what people who have had near-death experiences use. She thinks of these people as having died and returned, and that the similar language they use is suggestive of consciousness after death. But one could reason the reverse: that since people use such language on other occasions that do not have to do with their actual final death, that this disproves anything about threshold talk pointing to the existence of an afterlife, as comforting and moving as that would be. The author is a poet as well as a linguist, and so I take her comments about consciousness after death in that spirit. It was Doug’s lucky day. He had bought a lottery ticket based on his mother’s three-digit room number at the hospice facility she was just admitted to. While he did not win the mega prize, he got a satisfying amount because his ticket bore the reverse of the actual winning number. But I was surprised to hear he had based his bet on anything related to hospice. Seems like he would have bet on something more desirable and “lucky” like his best friend’s phone number or the number of miles it took to reach his favorite sports arena from home. If anything if I were in his place I would bet that using a number related to hospice would jinx my chances, like using the number thirteen. Or was Doug hoping that by using her room number, he would bring luck to his mom’s chances at survival? I hope trying to avert her fate was not what he had in mind, because it just so happened that his mother died a handful of hours later. Perhaps he thought linking any number at all associated with his mother to that lottery ticket would tip the odds in his favor. Whatever the motive, he was certainly trying to turn something negative into something positive. What we know for sure is that Doug will always remember this particular ticket, which did defeat enormous odds and win a prize. I hope its close association with his mother’s end will not distress him, but remind him of how lucky he was to have had such a mother, whose love had brought him so much good fortune throughout his life up to the absolute end of hers. In this guest post the “Spirited Crone” Sande Ramage tells us how she looks death straight in the eye with a real skull on her desk! Amongst the debris on my desk sits a small skull. It’s just big enough to remind me that I’m not long for this world. No, I don’t have a diagnosis that may make you feel awkward, other than being terminally human that is. Keeping the end in sight instead of trying to clutch at immortality is life-enhancing; a way to live that enters into the soulfulness of our existence. Put another way, it’s a reality check, a way to figure out what really matters. I’m not alone in this view. Philosopher Stephen Cave argues that striving for eternity shapes everything, even our choice of breakfast. But that leads us astray and stops us from facing up to the challenges of living life well. 4. legacy – we live on in our deeds and generations to come. ‘But aren’t you meant to believe in life after death,’ said my colleague, staring at me intently over his espresso. ‘Depends what you mean by that,’ I said, mindful of the physicists who reckon we emerged from stardust and to stardust we will return. Although it’s a sparkling improvement on mere dust, it’s still a hankering for immortality. Living with my desk skull is a daily spiritual practice. Like the medieval philosophers before me, it reminds me of my impermanence, the need to embrace that and, as a result, step soulfully into my mortality. Sande Ramage, also known as The Spirited Crone, writes about spirituality one word at a time on her blog https://spiritedcrone.co.nz/. 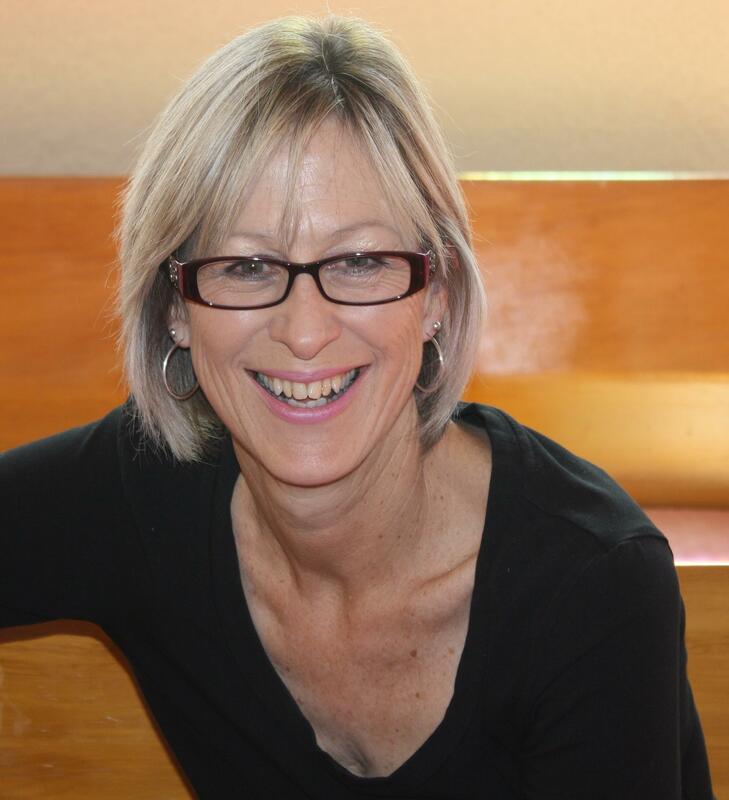 She is a spiritual care practitioner in Aotearoa, New Zealand with a focus on the possibilities of spirituality beyond institutionalized religion. Sande also offers spiritual direction to people wanting to chart their own spiritual pathway. Ricky, who designed and painted parts for rare cars and motorcycles, proclaimed: “I’m gonna drop dead in two months.” That is how he opened the conversation when I met him for the first time as my patient. Talk about cutting to the chase! Quickly adjusting gears from an opening greeting to this steep fall in topic, I asked if he was afraid of death. He replied, “I am not afraid of things I can’t change. I’m only afraid of things I could change but I don’t.” Ricky was not able to elaborate. He moved off to the relatively lighter topic of the motorcycle he built for himself and decorated by himself but would now have to sell (for obvious reasons). Maybe he meant by his remark that he was afraid of living with guilt and regrets. Or maybe he meant he kept doing things that made him unhappy. I can only speculate, but what grabbed my attention was that Ricky feared dealing with choices more than dealing with fate. Usually it is the reverse for most of us, is it not? Perhaps for him, uncertainty and lack of confidence to better himself was scarier than the certainty of his fate. Can’t control it? Then no responsibility for what happens. There is just sweet surrender. Maybe a small part of us in some remote corner of the psyche can admit to identifying with Ricky. We can be passive about certain things. Perhaps what we really fear is having less and less control over doing a given thing differently because we have built thicker and thicker emotional walls to surmount. This then blurs the distinction between fate and choice. I trust that our self-sabotage is far scarier for us than any Halloween image we may encounter tonight. Mr. Guilt gets it wrong so much of the time, skipping over people who should feel its punishing pinch, and injecting its emotional pain into compassionate people who should be fully at peace with what they are doing or have done. The public pictures chaplains hearing confessions of sin that people feel guilty about. But patients and families under my care rarely have wrongdoing to reveal to me, such as skimping on care for a loved one in order to ultimately have more money for themselves, or confessing to assault, harassment or any other kind of crime from their past. Much more common is the guilt for things they should not feel any guilt about at all, and if anything, should be at peace with or even proud of. As moving as that was, assuaging guilt is the exception. Trying to do so might even let Mr. Guilt become even more entrenched. I have to remind myself that instead of talking a person out of guilt to let them talk about their guilt. This is really no different from how the helping professions should operate regarding any kinds of changes for the better they yearn for their clients to make. We have to ask questions that will unearth hidden angles. We have to refrain from giving them the distraction of resisting our suggestions of “Don’t feel guilty” instead of exploring what ghosts past and present are fueling it. Clients have to find the end of their guilt trips on their own, and all we can do is illuminate the obscure segments of the journey. Sometimes I am lucky enough to see Mr. Guilt being let out at his last stop when a client talks with me about their guilt during a series of conversations. There was the case of a patient’s son, who I will call Samuel. His mother, who will get the name Jackie, was a patient of mine for around a year. I saw that when he visited her, she would needle him about this or that and make sarcastic jabs at whatever came to mind. When I spoke with Samuel about this after his visits, over time he built up a story of family relationships with plenty of twists and turns for guilt to ride along in. I was surprised first of all when he said his mother favored him over his other siblings, given all her hobbling negativity towards him. (If that is favoriting, I wonder what his siblings dealt with; i.e. “With friends like that, who needs enemies,” as the saying goes.) Over time Samuel talked about his sources of guilt, amply supplied not just from within, but from his siblings. The gist was that they accused him of not giving his mother enough care, the right care, enough money, enough visits, and so on. No praise and certainly no encouragement that I supplied about his compassion, his constant visits from far away, no lamentations over the hostile texts and emails from the sibs which he had showed me, served to derail his guilt. Of course guilt stalks a favorite child, so I knew this was part of the story, which we discussed. I suspect even Joseph felt ill at ease as much as he reveled in his coat of many colors. Still, covering that did not make any headway either. I soon refrained from praising him and discussing favoritism and over time uncovered a clue that at least took guilt out of the driver’s seat: “When you feel guilty, this lets your sisters do their job for them. They don’t have to feel guilty about anything they do; they just lay it all on you and instead of them beating you up, you oblige and do all the work of beating yourself up for them.” For the first time regarding his guilt, Samuel said he felt “lighter.” A day later he emailed me that he was sleeping better. Ah, Mr. Guilt, I got you that time! !